If you need a vehicle to replace or start your Chicago business, you don’t need to break the bank to do it. 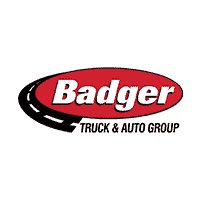 At Badger Truck & Auto Group, we offer a selection of used vehicles, from heavy-duty work trucks to vans, all with plenty of life left for your Madison job site. 1999 Volvo WG42, M11 Cummins 280 HP, Allison HD4060P automatic, 127k miles, 18 front, 25 rears, 11' Plow, wing, 10' dump, tailgate spreader, $16,500. Call Badger Truck Center, 414.316.5875. Why Buy Used Vehicles from a Dealership? Financing Options: You will find more financing options at a dealership than you would from individual buyers. Reputation: You get the backing of the Badger Truck & Auto Group which is something you don’t have with a random seller. When making your vehicle selection, don’t miss our used vehicle specials for rotating deals on our used vehicle inventory. Contact us to see one in person today!